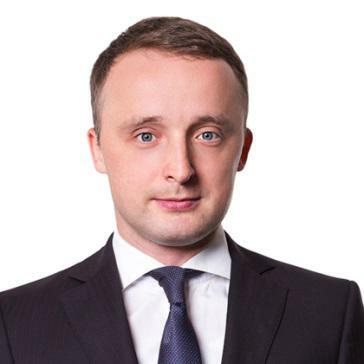 Vitaliy is a Partner in the Energy and Projects team at the Kyiv office of CMS Cameron McKenna Nabarro Olswang. He focuses on M&A, financing, commercial law and regulatory advice in oil and gas, natural resources, conventional & renewable power generation and clean tech projects, as well as on infrastructure projects. Vitaliy is ranked by Chambers Europe 2012-2017 as a Band 1 Energy & Natural Resources lawyer for Ukraine with commentators identifying him as “a standout figure for energy law in Ukraine” and “a superb lawyer, instrumental to the practice”, and highlighting his “outstanding knowledge of the Ukrainian energy sector”. Vitaliy is also ranked as the leading lawyer for Energy by Legal 500 2012-2017. Vitaliy is the Co-Chairman of the Energy Committee of the American Chamber of Commerce and an active participant of the European Business Association in Ukraine, and is also the first Ukrainian member of the Association of International Petroleum Negotiators (AIPN).